This kicked it all off. Three of Khabib's guys have been arrested. 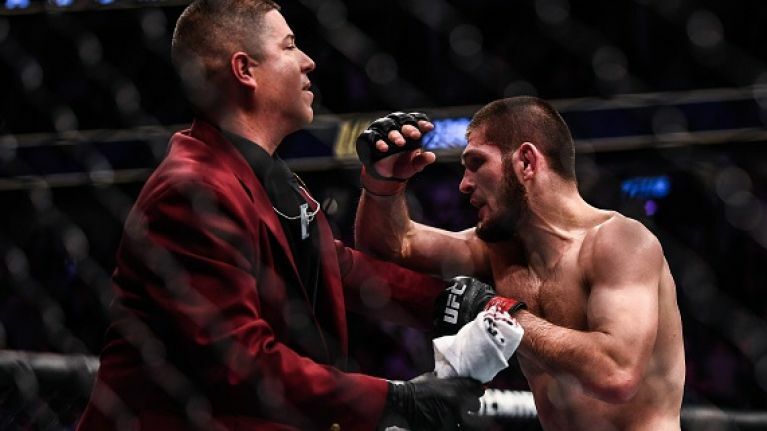 In strictly athletic terms, Khabib Nurmagomedov was the deserved winner at UFC 229 as The Eagle set the tempo from the beginning and dictated the fight to McGregor on his terms. After landing that choke hold in the fourth round, McGregor had no other choice but to tap out but what unfolded at the very end was something that no MMA fan will forget in a hurry. Granted, in the immediate aftermath of some fights, we've seen McGregor get in the face of his opponents - Jose Aldo being the most notable one - but that's where it ended. Verbals and insults. 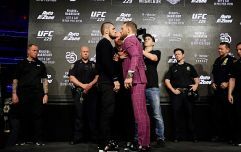 Of course, the bad blood between McGregor and Nurmagomedov has been brewing for months now and the Dubliner has stoked this rivalry for the last few months in his press conferences. He's not without blame in creating this cauldron of hatred, but those cheap shots from members of Khabib's team to McGregor were ugly. In the post fight discussion, Joe Rogan mentioned the fact that McGregor kept hooking Khabib's gloves in the fight - something that annoyed the man from Dagestan - but Rogan also said "Dillon (Danis) was absolutely insulting Khabib, saying something to him and provoking him and then Khabib just jumped over the cage and attacked him. I couldn't believe my eyes while it was happening." Rogan then added: "The real question now is 'does the UFC strip Khabib?' Does the Nevada State allow him to compete again?Will he be allowed back into the country?" After being interviewed on TV, Dana White said that McGregor is more upset about losing the actual fight, not the fight that happened after the fight. He also confirmed that three of Khabib's team have been arrested and taken to jail. With regards to any further action, he discussed the potential legal issues that may arise in the aftermath of the fight - getting Visas and such.